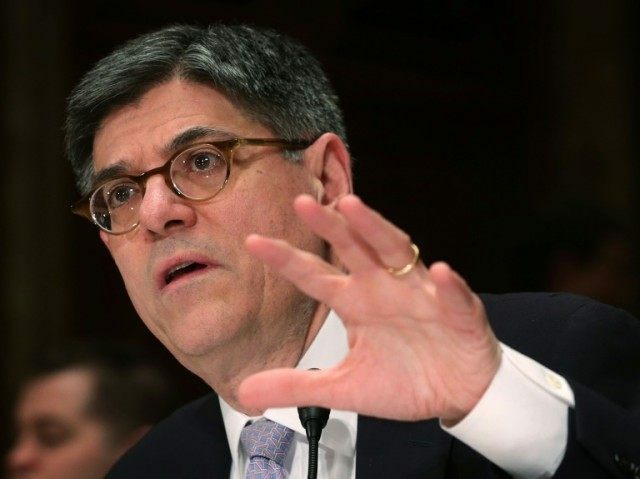 Washington (AFP) – The United States plans to begin forcing the disclosure of shell company owners’ identities to combat tax avoidance and other illicit activities, Treasury Secretary Jack Lew said Saturday. With the fallout of the “Panama Papers” leak still echoing through the financial system, Lew said in a policy statement to the International Monetary Fund that the Treasury is close to releasing new rules that require banks and other financial institutions to identify the beneficial owners of all new customers that are companies. In addition, the Treasury will propose a regulation requiring that limited liability companies with just one owner identify the beneficial owners to the Internal Revenue Service, the US federal taxation agency. That would close a loophole that some people have exploited to hide assets and illicit financial activities, Lew said. “Tax evasion and tax avoidance hurt government budgets, reduce the equity of our tax systems and hinder global growth,” he said. The statement came as five major European countries said they had agreed to back a new international database of the owners of anonymous companies, trusts and foundations for use by tax and other authorities. Such companies, often located in international tax havens but also allowed in mainstream economies including the United States, are frequently used to hide assets from tax authorities and to launder money. Increasingly, foreigners have been using shell companies registered in the United States to hold and transfer assets out of the reach of their home tax and law enforcement authorities. The moves came after a trove of leaked documents from the Panama law firm Mossack Fonseca showed how wealthy and powerful people around the world made use of anonymous shell companies in tax havens to hold their assets offshore. Powerful officials, including the leaders of Russia, Iceland, Britain and Argentina, were linked by the Panama Papers to offshore tax havens.